I have been helping clients make their homes practical, beautiful and comfortable for over 25 years. Every design is original and specific to my clients needs. My designs are done to withstand the test of time. 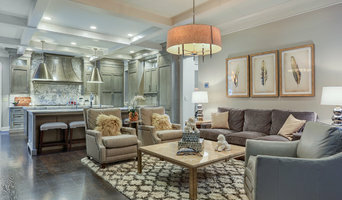 Dauphin County's Experienced Interior Designer | 3x Best of Houzz! Barbara Tabak, C.I.D., W.F.C.P., is among Central PA’s most prominent interior designers and heads one of the region’s most successful full service home decorating firms. Barbara is the only multiple International Award-winning designer and the only Window Fashions Certified Professional (W.F.C.P.) in the Harrisburg, Camp Hill and Mechanicsburg area. Barbara works with busy professionals and families who want their homes to be fashionable, chic, stylish, and smart. She works with her clients in the most convenient showroom in the world—their home—to create a space that speaks to their design preferences; designing everything from traditional to modern interiors. Barbara’s clients seek her out for her creativity, expertise, and style and business acumen. 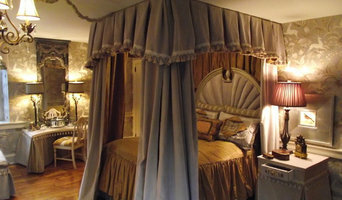 Barbara’s room and window treatment designs have appeared in a number of shelter magazines across the country including Arabella, Window Fashion Vision, Decorating Solutions, as well as local publications such as Susquehanna Style, Harrisburg Magazine, Central PA, and Central Keystone Living. Her work has been featured in two interior design books; Love Your Home and Decorating the Professional Touch. The readers’ of Harrisburg Magazine and Susquehanna Style voted Barbara “Simply the Best” and “The Best of Harrisburg” interior designer for her design savvy. The readers of Harrisburg Magazine also voted Barbara “Simply the Best” for window treatments. 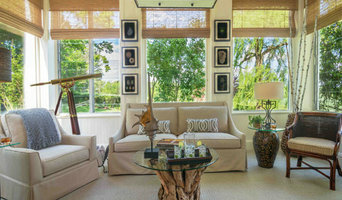 Barbara has been repeatedly selected from the most accomplished designers to participate in The Harrisburg Symphony Society’s Designer Show House where her latest design received the highest accolades from the Show House attendees. If you’re looking for an interior decorator that is easy to work with, keeps your budget in mind, designs around your lifestyle, listens to your concerns and ideas, and strives to make your decorating experience fun, friendly and stress-free, call Barbara at 717-541-1659 to schedule your complimentary consultation. Full service interior design firm specializing in custom residential projects. I am a self-taught, pragmatic interior designer. I began by redesigning my own homes, which then led to the start of my business. I have a lifelong love of architecture, interiors and fashion. I am also a self-confessed homebody, which helps me to understand my clients’ need to relax and take comfort in a home that feels just right. I believe in a collaborative approach and work closely with my clients to understand their needs, style and ideas they love so that we can create a real ‘wow’ factor within any given space – from one room to an entire house. With more than 20 years design experience, Carol brings a broad base of knowledge to every interior design project. Her expertise in scaling furnishings and accessories for a given space lays a great foundation for each project. Carol loves bringing her client's vision to life, blending lifestyle and style preferences to create rooms that are loved. Projects range from complete room designs to updating key elements in the home or commercial setting. Carol's definition of client satisfaction: Her clients are thrilled with everything they accomplished. Interior Design by Anastasia is a privately owned, full-service interior design firm. Anastasia Laudermilch, Owner/ Interior Designer, graduated at the top of her class from Art Institute formerly known as Bradley Academy for the Visual Arts. She has coupled her degrees in Business and Interior Design with over 25 years experience in residential and commercial design. She has worked Internationally, designed four different show houses for both Historic Harrisburg Candle Light Christmas Tour and Harrisburg Symphony Orchestra Decorator Show House. She was the personal designer for the owners of the famous Peter Allen House. She furnished several beach homes in both Florida and New Jersey. She works with many clients transferring from out of state. Her array of services range from assistance in every aspect of the building process through interior structural decisions to paint, draperies, furniture layout, accessorizing, and even staging when you are ready to sell. My design philosophy is simple and honest. The ideals of my approach are comprised of integrity, knowledge, value, and quality. Residential and commercial interior design. Kitchen Island King is your #1 Trusted source for premier kitchen islands and kitchen furniture! Founded with love for the kitchen, Kitchen Island King is dedicated to its loyal customer base by providing a top notch customer experience. My life as a designer is all about transformation, which is my favorite word. Our homes are more than mere buildings. They hold the precious pieces of our lives and say a lot about who we are inside. But when there’s a disconnect between what we see around us and how we feel inside, we wobble out of alignment. I uses the tools of the interior designer to do the work of the therapist, creating new surroundings that reflect a brand new you. Consider me your Interior Design Shrink! Transformation is the process by which a desired change becomes reality. In order to create a new picture we must awaken and see what’s around us, and when we commit to doing the necessary work, a beautiful new reality emerges. I can help you make this happen. As a Best of Houzz 2016- 2019 Award Winner, and we provide residential and commercial interior design to a variety of clients including those who are building their dream home or clients who are just in need of window treatments or a color consultation. Collien Driscoll, Principal, is a Western Maryland native with a Fine Arts Degree in Interior Design from VCU. She has been blending contemporary interior design with classic architectural details for over 20 years, and works with a variety of clients in Waynesboro, Gettysburg, Hagerstown, and Frederick. We are makers of Finely Crafted Traditional Furniture. The furniture we offer is created using solid woods, traditional joinery and expert finishing techniques. All pieces are signed and dated by the craftsman that built it. The quality level of our furniture is high end. Our furniture is crafted in woods such as Sugar Pine, Cherry, White Oak & Tiger Maple. A broad range of finishes and paint colors are available. Size modifications, custom work and commissions in other woods, finishes and styles are available. You can purchase our products through this website and our factory showroom in Lititz, Pennsylvania USA . Global shipping and delivery services are available. Lititz Pennsylvania is home to our workshop & showroom, it is located in Lancaster County which is an approximate one hour drive from Philadelphia and a 2-1/2 hour drive from New York city. We have been practicing the art of fine furniture making on location for decades. Our Showroom is large and exhibits an extensive collection with sale pricing based upon the factory showroom model. The workshop where our furniture is built adjoins our showroom, we are quite proud of it and offer tours by appointment. A large inventory of furniture that is In-Stock, Sale Priced and Ready to ship is always on display in our showroom and portrayed within this website. Thanks for the time you spent reading about our company, enjoy our website and feel free to contact us with any questions that you may have. *Hunter Douglas Authorized Dealer* Furniture Finesse is your local resource for your interior needs, including window coverings from Hunter Douglas and furniture by Wesley Hall, Bradington Young, Sam Moore, and Bassett. You can count on our knowledgeable staff to coordinate your project from start to finish. Our services include professional measuring, experienced installation, and stylish design advice. Furniture Finesse has proudly served the York, Adams and Carroll counties for many years providing a local flair since we are independently owned and operated. Our way of doing business has created countless "friends" over the years. Our goal, to provide the "absolute best customer service and unparalleled selection possible," has created unmatched loyalty from those we do business with. Modern design makes homes a haven and corporate spaces welcoming to clients and professionals. Whether you are looking for that perfect detail, an experienced eye, or an overall vision for your space, Red Couch Interiors provides an array of services for home and business owners alike. What are the benefits of working with custom furniture makers in Paxtang, PA? Whether you’re looking for a custom couch or a new set of custom chairs, it can be difficult trying to find something that matches the rest of your decor and that fits into your space. But when you’re using the furniture in your home almost every day, it’s important that it works and brings you joy. 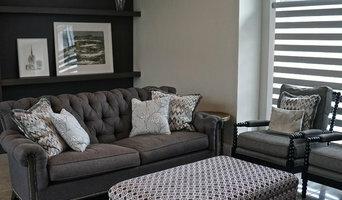 Outfitting your home with custom made furniture ensures that your interior spaces work with your lifestyle and tastes. You’ll be able to specify just how big or small you want a piece to be so that it fits right into your home. You’ll also be able to match wood finishes to the rest of your furniture and pick out upholstery colors or patterns that reflect your style. While working with local Paxtang, PA furniture makers might seem like a big project, you’re likely to end up with a high-quality piece perfectly suited to your lifestyle and meant to last for years to come. Even if you like the sound of having furniture made specifically for your home, you may be wondering how to even begin. First, you should take some measurements of your space and the other furniture you have. Consider the colors and style of the room and how a new piece might fit in. Many custom home furniture companies in Paxtang, PA will be able to give you a choice of different configurations and designs that you can choose from. They may also have pieces that are already made, so you might take some inspiration from those designs. Whether you’re looking for custom wood furniture for your dining room or a custom sofa for the living room, Paxtang, PA furniture makers near you will be able to take your ideas and make something lasting out of them.